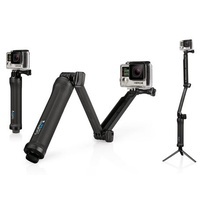 This ultra-versatile mount can be used three main ways - as a camera grip, an extension arm or a tripod. 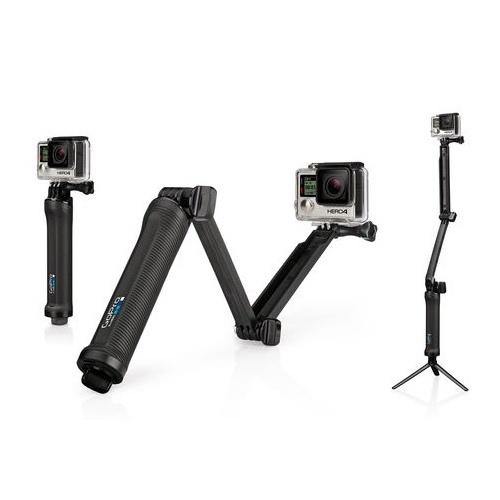 The folding arm is perfect for POV or follow footage, and the shape makes it easy to capture selfies without the mount appearing in the shot. 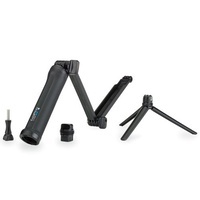 Conveniently stored inside the handle is a lightweight, mini tripod that can be removed and used on its own or combined with the handle. 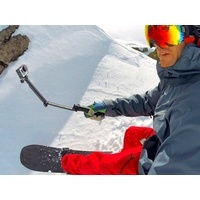 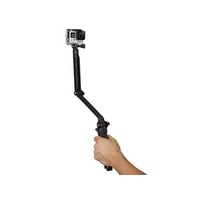 The GoPro 3-Way mount expands to 51cm and collapses down to 19cm. 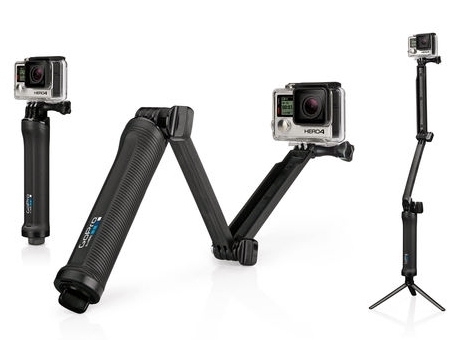 All components are waterproof, for use in and out of the water.